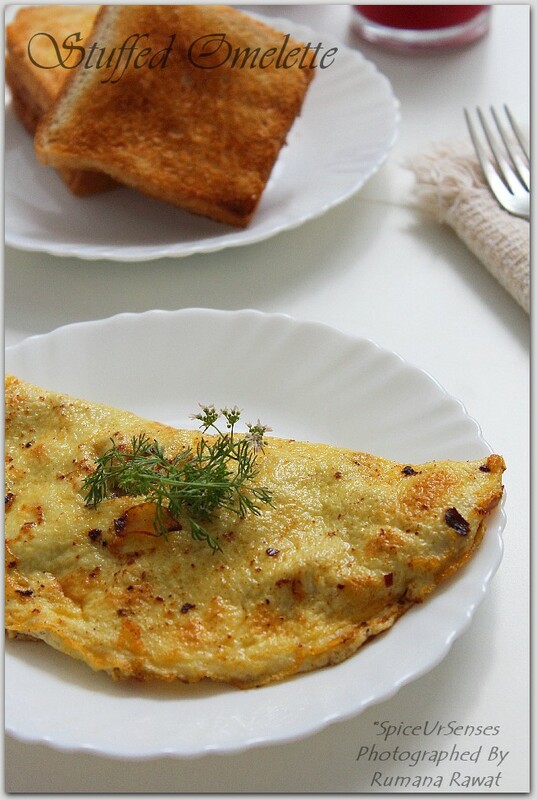 Stuffed Omelette With Caramelised Onion. 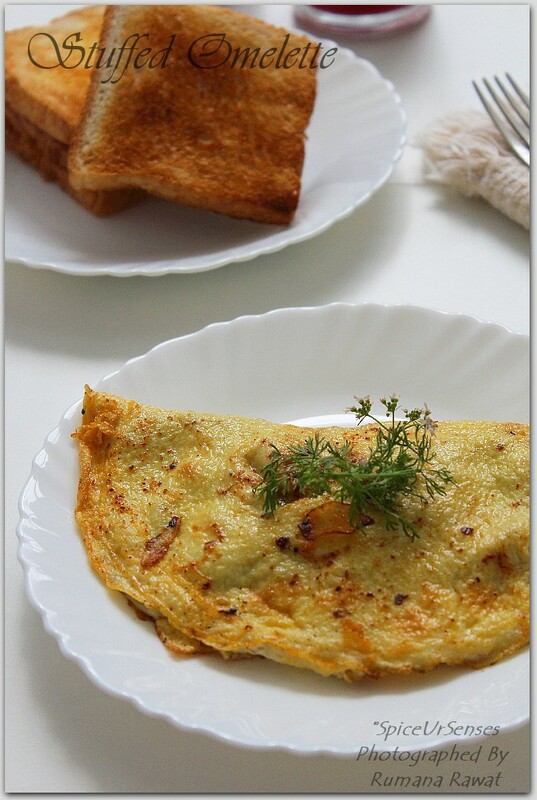 Stuffed Omelette With Caramelised Onion. 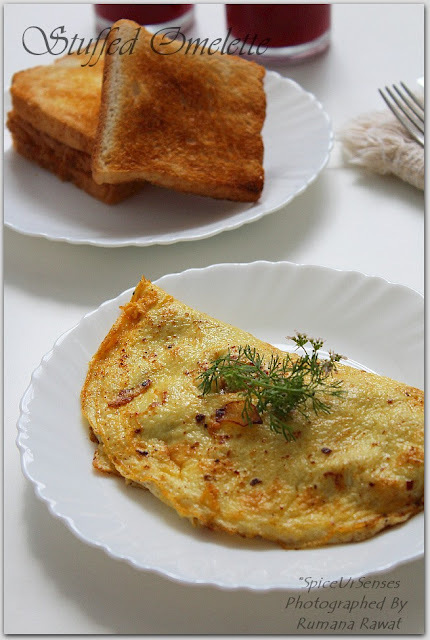 This is a very easy stuffed omelette with well caramelised onion, with a hint of paprika and green chillies.. 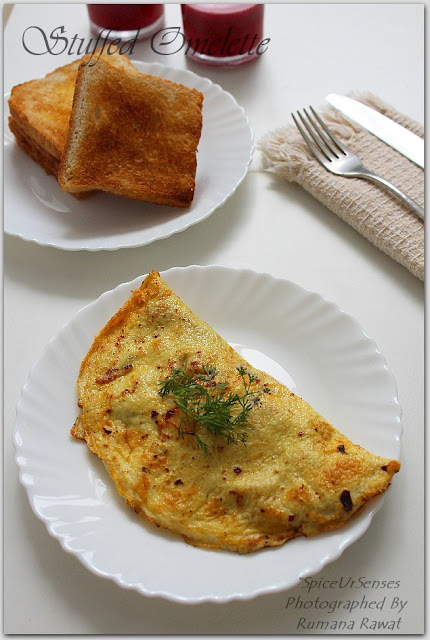 It makes an a awesome breakfast on a lazy weekends or even as a brunch. All you need is just few onion and eggs, that's it and your breakfast is shorted. It's been a long time I have participating in any competitions. All of sudden 3 days back I saw Better Butter Contest on my FB page which includes eggs and eggs are there in our breakfast almost everyday, so I thought why not give it a try. Just because of the contest I'm clicking pictures early mornings, making my hubby to wait on table for his breakfast, so that I don't become lazy and finish the food. Now he is like you have win this because you are making me wait for so long.. The funny thing is my hubby said if at all you win the contest, then take the 3rd price. Because he like the teapot.. hehehe. Anyways lets see what happens.. Do try the recipe and let me know. In a small mixing bowl, whisk the 2 eggs with a pinch of salt and set it aside. In a nonstick frying pan, add little oil, saute the onion for few seconds, then add rest of the ingredients and fry till onions are well caramelised, then remove from the and set it aside. Now in the same frying pan add little more oil and allow the oil to heat, pour the egg mixture on to the frying pan and cook on over medium heat. As the eggs sets on top lift the edges, letting the uncooked eggs to flow underneath. 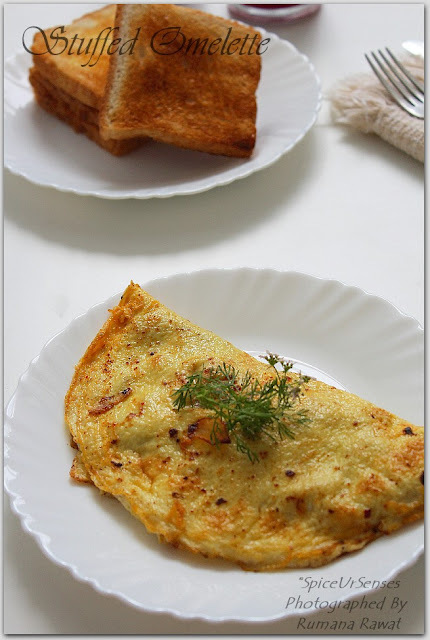 when eggs are set, add the half of the onion mixture to the omelette on one side and roll the otherside on top and cook for another minute, on a low flame. Then take out the omelette on to a serving plate. Serve hot with some Toast. Thanks alot. Even I love eggs everyday in my breakfast.